What Are The Best Western Boots For Riding Horses? Riding boots are a huge thing in the horsey world. 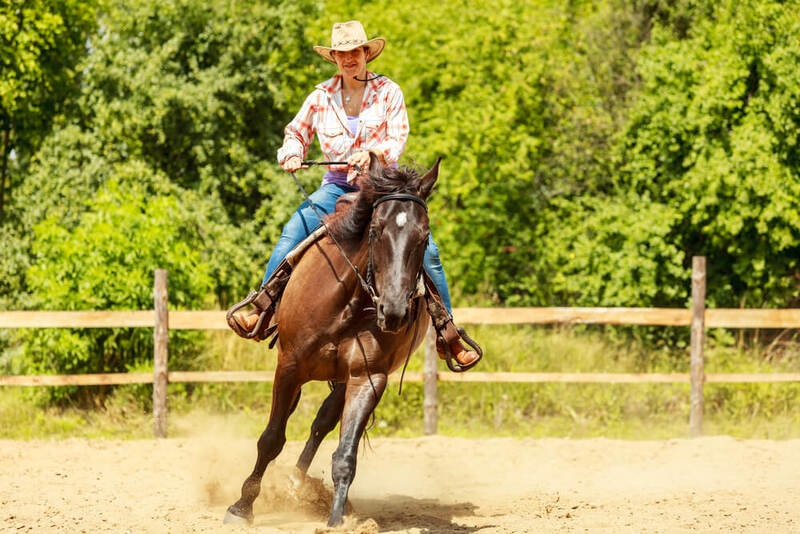 If you ride, you need to have a good pair of sturdy boots that will not only be comfortable but will protect your legs and feet from any rubbing from the stirrup leathers, or just the general wear and tear that riding produces. The boots need to be made from good quality material so that they last, and need to be comfortable enough to be worn on long trail rides. The best Western boots for riding horses are generally shorter in the leg than the English alternatives, as the Western stirrup leathers are wider and less likely to pinch the leg higher up. Western boots, traditionally, have quite a tall heel but these are diminishing somewhat in this day and age, and the uppers and their extensive decoration are becoming more subdued. These boots, although they are beautiful and look as though they should be gracing a catwalk, are a performance riding boot, approved for riding. 100% quality leather – Using good materials to make riding boots is an absolute must, as they go through a lot and need to stay strong and in one piece. The fine leather of these boots is designed to do just that. Extremely comfortable footbed – The sole uses a supremely soft, 4 layered technology to keep your feet as comfortable as they can possibly be. Very attractive looking – Although it’s not the be all and end all, having a good looking pair of boots is a really great plus point – and these, with their stand out stitching and funky design, really do look great! Fit to size and are comfortable – Unlike some boots whose sizes seem to run either smaller or larger than they should, these are true to their size so you can just order your standard size and know they will fit. The heel is not particularly stacked – Some people like their Western boots with more of a heel, but for those who like a flatter boot these are perfect. These beautiful leather boots are strong and sturdy, high quality and extremely well made. The rubber sole is heat, abrasion and oil resistant, and their hard wearing nature means they should be with you for years to come. No need to break them in – These boots, unlike many, don’t take weeks and weeks to become comfortable – you can wear them straight out of the box and not have to worry about blisters or pinching. Waterproof construction – These boots will keep out the wet, unless you wear out the sole or wade through a flood! Even walking through snowdrifts and deep puddles will be no match for their sturdy design. Removable polyurethane footbed – This added layer of softness will make your feet more comfortable than other boots, and there is the added bonus of being able to remove it if you don’t like it. Airflow system keeps your feet cool and dry – You are guaranteed to avoid sweaty feet with this pair of boots, thanks to the Rocky Waterproofing system – no worries about blisters or smells! Sizes run on the large side – These boots reportedly fit well enough on the foot, but tend to be a bit large around the ankle. A great pair of boots, somewhat less flashy than some of the other Western boots available, but this may be suitable for people whose tastes are more on the muted side. The quieter look in no way affects these boots’ performance! These really are Western boots that are what most people think of when they think Western boots. They are tall, with a stacked heel and just enough tooling to make them look authentic. Fantastic tread for good grip – Having a good strong sole is important, whether you’re in the saddle all day or walking around the yard. There is no risk of slipping over in these boots! 4LR footbed for comfort – Having a comfortable insole is massively important for any pair of boots to keep your soles happy, and these really do tick all the right boxes. 100% leather with rubber sole – The high quality leather will last for years to come, and is complemented by the strong rubber sole. All is all, the construction of these boots is second to none. 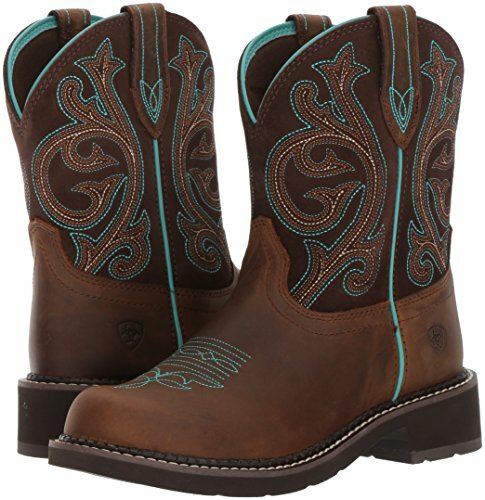 Subtle coloring with classy 6 row stitch pattern – Perfect for those who like their cowboy boots without the flashy coloring of some others on the market, these boots are still beautiful in a more understated way. Tall heel may not be suitable for everyone – Not everyone likes a stacked heel on a Western boot, and these are quite tall. 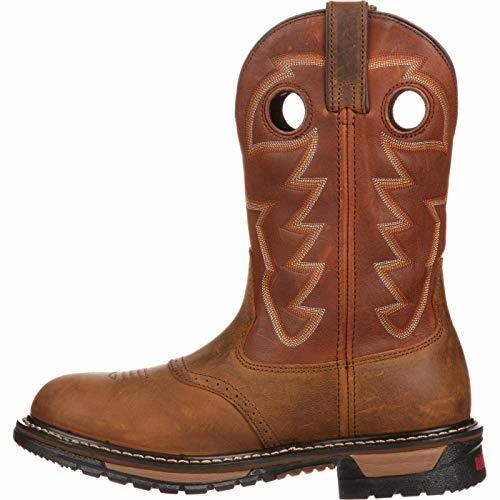 Great boots which are perfect for everyday riding, walking trails and use around the stable yard, these well made boots will be your best friends for years to come. 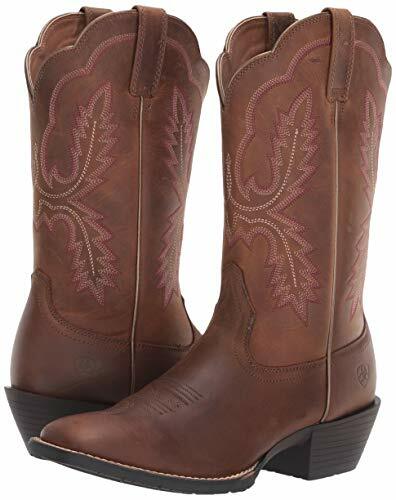 The best western boots for riding horses will end up being your firm favorites for riding, yard work, and even general walking about day to day. It’s great to find a pair of boots that are made for riding and will keep you comfortable, as well as being suitable for other uses too. Cowboy boots are also a great fashion item as well as practical footwear, so you can happily keep your boots on for a trip to the bar (maybe change the horse-smelling shirt though). The best boots really will offer you a huge versatility and will make you look – and feel – your best.